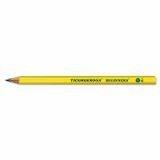 Teacher's choice for students' first pencil. 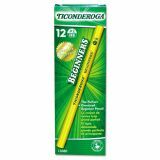 Dixon Ticonderoga Beginners Wood Pencil w/o Eraser, #2, Yellow, Dozen - The teacher's favored choice for that important first No. 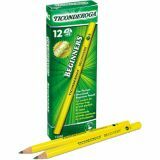 2 pencil offers a larger diameter (13/32") and smooth outer casing. Easy for little hands to hold. PMA certified nontoxic. 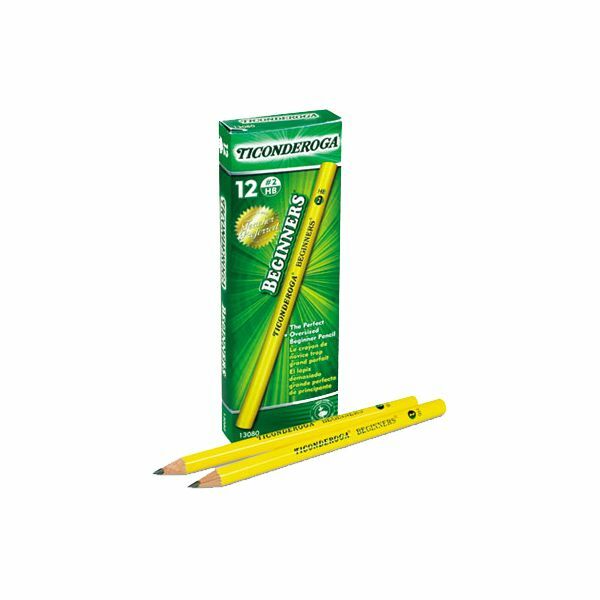 Does not have eraser.